Bob Golden joined Prudential in 1976 and is now Executive Vice President of Prudential Financial. Under his leadership. Prudential founded a technology and call center in County Donegal, which now employs 600 people. Golden, who earned his BS and MBA from Fordham University, serves as first vice chair and director of HeartShare Human Services of New York, a nonprofit organization for children in need. In 2000. he received the Ellis Island Medal of Honor. In 2001, he was named Man of the Year by Catholic Charities of Brooklyn and by the New York Aquarium. 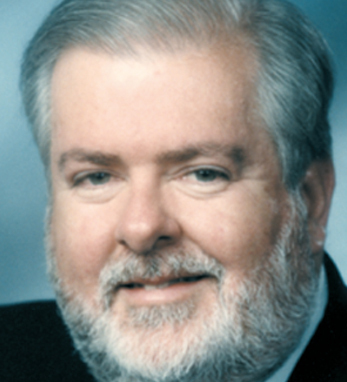 In 2002, Golden was named Man of the Year by Catholic Big Brothers, and in 2006 was named a Distinguished Irish-American by New York City Comptroller, William Thompson. Golden is a Knight of Malta and a Knight Commander of the Holy Sepulchre. A third-generation Irish American with roots in County Mayo, Golden is a member of the Friendly Sons of St. Patrick, the Ancient Order of Hibernians and the St. Patrick Society of Brooklyn. He and his wife Maureen live in Staten Island with their two children, Katie and Bobby.